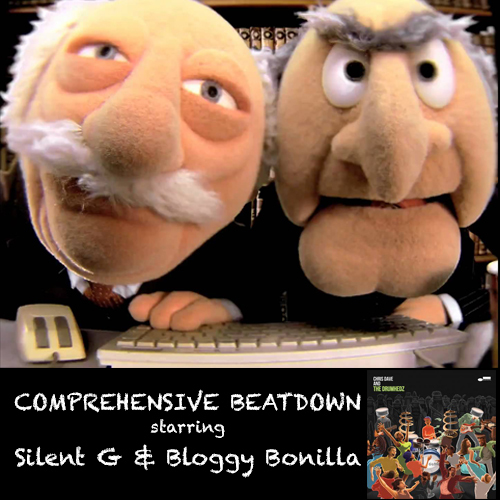 Bloggy Bonilla and Silent G are back with a new episode of Comprehensive Beatdown. For episode 109, the guys check out the new self-titled Chris Dave & The Drumhedz album. The intro music is from the “Shape of the Future,” the fantastic new Nightmares on Wax album. dopeOn Friday, January 12, 2018 several local podcasters got together for a marathon recording session as part of the 3rd annual Jackson Indie Music Week. Reps from Let’s Talk Jackson, Token Talk, Roguish Gent, and Comprehensive Beatdown sat down with a bevy or artists, sponsors, coordinators, and a city councilperson to discuss all things Jackson and music. See below for the run down of interviews. Shout out to Beau York at the Podastery for hosting the event. Be sure to follow all of the podcasts on http://satchelplayer.com/. Comprehensive Beatdown is back for the first episode of 2018. For episode 108, Bloggy Bonilla and Silent G check out “Devil Music,” the newest release from Jackson artist James Crow. As a bonus, the guys have James Crow himself in the studio to discuss the project. The opening track is from Tiombe Lockhart’s new album, “She Has Risen.” The outro track, “Chant a Psalm,” is played in honor of the recent passing of Steel Pulse drummer Steve “Grizzly” Nisbett. Silent G is back from hiatus, as he and Bloggy Bonilla count down their personal Top 10 Albums of 2017 while listening to the new album from N.E.R.D. "No_One Ever Really Dies". This week we welcome Merc B Williams and Theca Jones (The Roguish Gent Podcast) to help in hosting the Podcast, as Silent G enjoys a little R&R. Merc will be one of the subjects of an upcoming episode of Hart of The City Season 2, which airs 11/24/2017 at 10:00pm CST. Be sure to tune in to Comedy Central and see some of the brightest stars in Mississippi put on for the state. We also listened to the much anticipated debut album from Cyhi The Prynce “No Dope On Sundays”. We’re back after a couple of weeks off (again). This week we check out the newest from L’Orange, “The Ordinary Man.” It was released on October 27 by the always reliable Mello Music Group. The opening track is from “M&M,” the collaborative album from Moreira Chonguica & Manu Dibango that released on March 31st at the Cape Town International Jazz Fest. After a couple weeks off, Bloggy Bonilla and Silent G are back with Episode 104. This week the guys check out the newest release from Ibeyi, “Ash.” The opening track come from “Laila’s Wisdom,” the newest release from Rapsody.